The River Forth at Stirling has played many roles in human life. In centuries past it was a trade route to continental Europe, and protection from southern invaders. In the 18th and 19th centuries it was popular with tourists, with Robert Burns writing of “the glorious prospect of the windings of the Forth” viewed from Stirling Castle. These paintings are accompanied by other works of art relating to the river, including some from the Stirling Smith’s permanent collections. 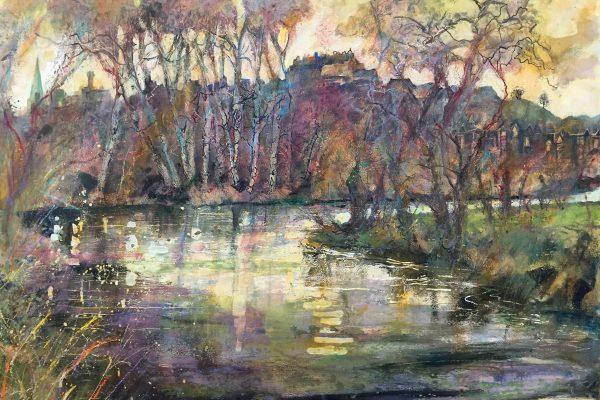 Iona and the staff at the Stirling Smith hope this exhibition of past and present will open up discussions about the future potential and power of the river.